How many question will come from Blood Relations parts in SBI PO exam? 2-3 Questions will come from Family Tree and Coded Blood Relation Problems in SBI PO exam. Know more about SBI PO Syllabus. How many question will come from Number series parts in SBI PO exam? 1 Questions Problems based on Divisibility & Remainder, Multiples & Factors, Integers, LCM & HCF in SBI PO exam. In how many language SBI PO exam is available? SBI PO exam is facilitated with Hindi and English Questions except for the English Language test. Click here to read more about exam pattern of SBI PO. Is there any negative marking in SBI PO exam? There will be negative marking for both the papers of SBI PO exam. Can we pay application fee of SBI PO in offline mode? No, you can't pay the application fee of SBI PO in offline mode. candidates are required to pay the requisite Application fee either by debit/credit card or by SBI online Net Banking or through any other bank. Click here to read other application details of SBI PO. Is application fee for SBI PO Exam is refundable? Candidates are required to pay SBI PO Applications Fee (Non-Refundable) of Rs. 600 for General and OBC candidates and Rs. 100 for reserved (SC/ST/PWD) candidates for SBI PO 2018. Sir, my permanent address is of Nepal, can i apply for SBI PO? I am a B.com graduate student can i apply for SBI PO exam? The SBI PO eligibility criteria are graduation degree in any of the streams such as BA, B.Com, B.Sc, B.Tech, etc., from a University recognized by the Government of India. 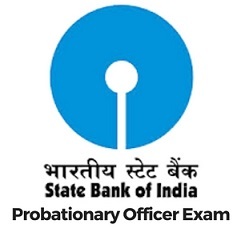 Click here to read other eligibility criteria for SBI PO exam.